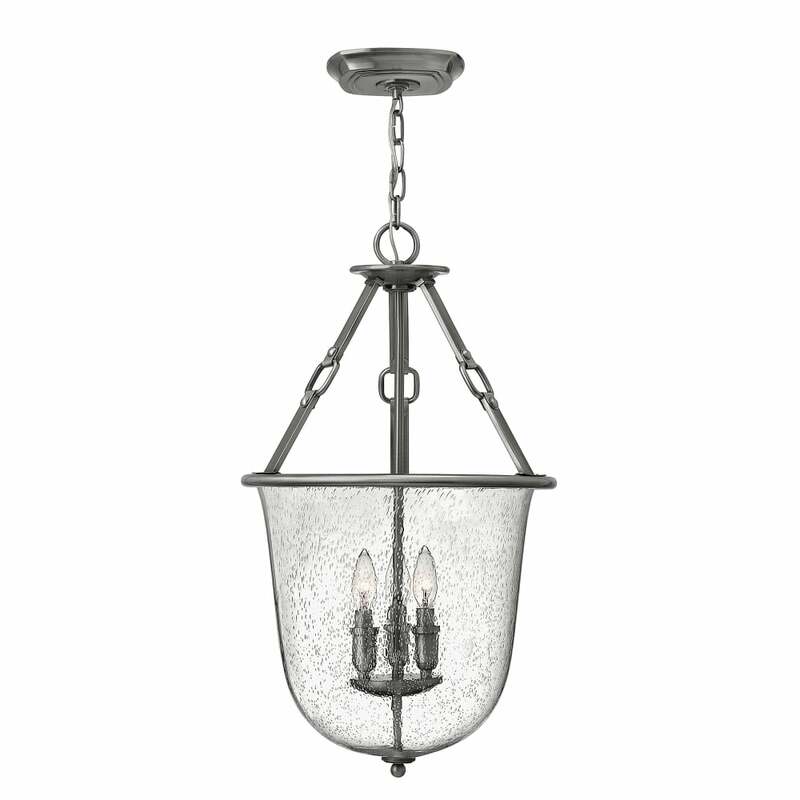 A beautiful rustic chic design 3 light pendant lantern in a polished antique nickel finish complete with clear seeded glass. Suspended on a chain suspension which can be shortened at the point of installation this pendant would be ideal for medium to high ceilings. It is also suitable for use on a dimmer switch providing the bulbs used are also dimmable. This would be great for use over dining room tables or in long drop stairwells of any setting. Cable / Chain Length: Supplied with 3048mm of chain.